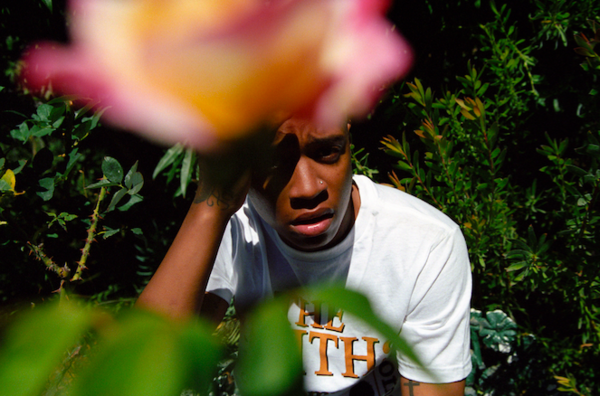 RockChickenz: Rejjie Snow debuts new track "Pink Beetle"
Rejjie Snow debuts new track "Pink Beetle"
Rejjie Snow just released his new track, Pink Beetle which was hand selected by BBC Radio 1's Annie Mac as her 'Hottest Record in the World.' The track was produced by Rahki (Kendrick Lamar), who is currently working with Snow on his debut album, which will be available via 300 Entertainment (Fetty Wap, Young Thug). The track is his second on the label, following the release of D.R.U.G.S, which received hype from the likes of Billboard, XXL Mag, FADER, Dazed, i-D and was added into rotation on Beats 1 by Zane Lowe as a Breaking Record. Rejjie Snow has been rhyming since he was a kid in north Dublin. Moving to Georgia, USA aged 17 on a soccer scholarship, before switching from sports to the mic full time to drop his first mixtape, Rejovich in 2013. The five track set introduced the world to his surreal style and villainous eloquence, and has amassed over six million plays. In June 2015, Snow released his debut single proper, All Around the World, produced by Cam O’bi (Chance the Rapper, Vic Mensa), quickly followed by Blakkst Skn, produced by Kaytranada and featuring Rae Morris, in November. WHORES. DEBUT "MENTAL ILLNESS AS MATING RITUAL"